Coast to Coast was a joint exhibition showcasing work from members of the Icelandic Printmakers Association (IPA) and members of Upland. The exhibition focused on the title of ‘Coast to Coast’ and what that meant to the printmakers. Ultimately it showcased the versatility and range of the medium of printmaking and made connections and comparisons in technique, subject matter and style between the two printmaking groups. 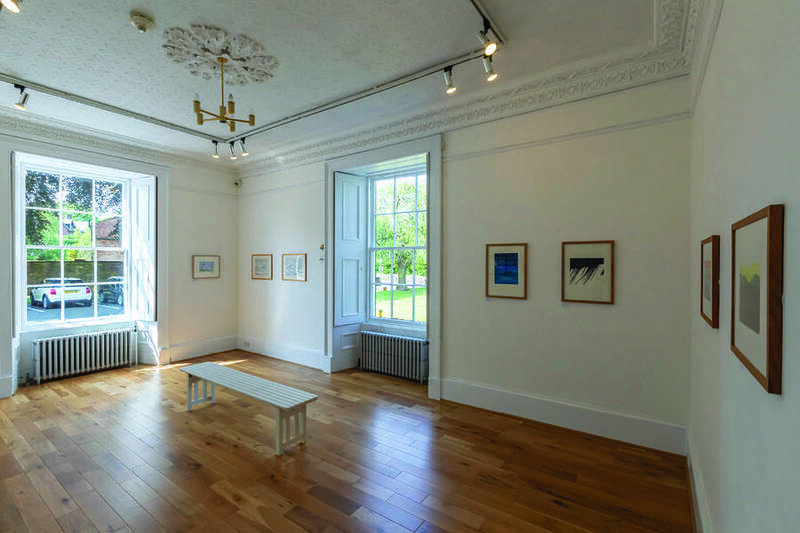 The exhibition was first shown at Gracefield Arts Centre in Dumfries and then in Iceland at the Icelandic Printmakers Association Gallery in Reykjavik from the 29 September – 14 October 2018. Gail Kelly, Sarah Stewart, Emma Varley, Sarah Keast, William Spurway, Dorothy Ramsay, Pamela Grace, Hugh Bryden, Claire Cameron Smith, Silvana McLean, Colin Blanchard, Clare Melinsky, Nanna Björnsdóttir, Denise Zygadlo. Anna Snædís Sigmarsdóttir, Elísabet Stefánsdóttir, Gunnhildur Ólafsdóttir, Hildur Björnsdóttir, Iréne Jensen, Kristín Pálmadóttir, Kristín Tryggvadóttir, Laura Valetino, Magdalena Margrét Kjartansdóttir, Ragnhildur Ragnarsdóttir, Rut Rebekka, Valgerður Hauksdóttir, Þóra Sigurðardóttir, Þórdís Elín Jóelsdóttir. This partnership exhibition was developed by Dumfries & Galloway artist Silvana McLean. Her work was greatly influenced by the Icelandic landscape after an artist's residency in Siglufjordur, North Iceland in 2016. Silvana was elected a member of the RSW (Royal Scottish Society of Painters in Watercolour) in 2018 and had been a great advocate of the arts in our region. We are saddened to say that Silvana passed away prior to this exhibition and she is greatly missed by all her friends and colleagues old and new. This exhibition dedicated in her memory.